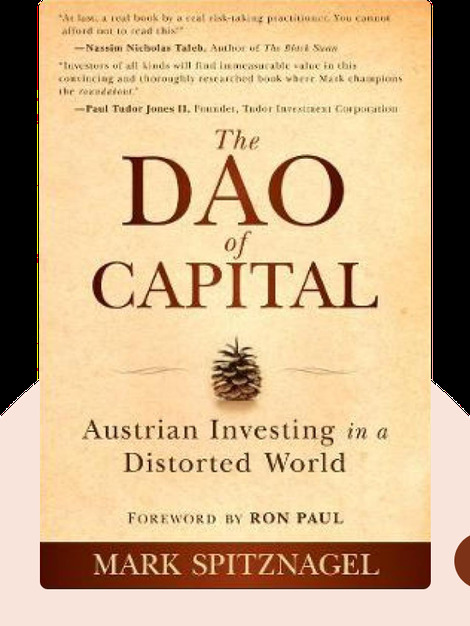 The Dao of Capital takes the reader on a journey from ancient China to nineteenth and twentieth century Vienna, to modern, globalized markets. Using a multitude of examples, it outlines the approach of “roundabout investing” or “Austrian investing,” which is based on ancient Daoist wisdom of “gaining by losing.” See how strategic investing, rather than rapid and rushed investing, can lead you to great financial success. Mark Spitznagel is the founder and President of Universa Investments, an investment advisor that specializes in profiting from extreme stock market losses as a means of enhancing investment returns. In addition to hedge fund investing, Spitznagel’s roles in his twenty-year investment career have ranged from independent pit trader at the Chicago Board of Trade to the proprietary trading head of Morgan Stanley. 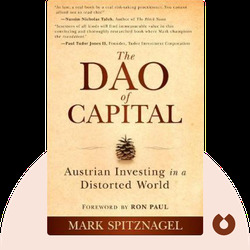 Mark Spitznagel: The Dao of Capital copyright 2013, John Wiley & Sons Inc. Used by permission of John Wiley & Sons Inc. and shall not be made available to any unauthorized third parties.